BMW was kind enough to invite me to its annual media party, held late last week, which gave me the unfamiliar opportunity to rub shoulders with people I’d previously only seen in the pages of car magazines and on the telly. It was also an opportunity to see some of the cars BMW will be using next year to ferry athletes and VIPs around during the 2012 London Olympics, including the newly minted 3-Series saloon. 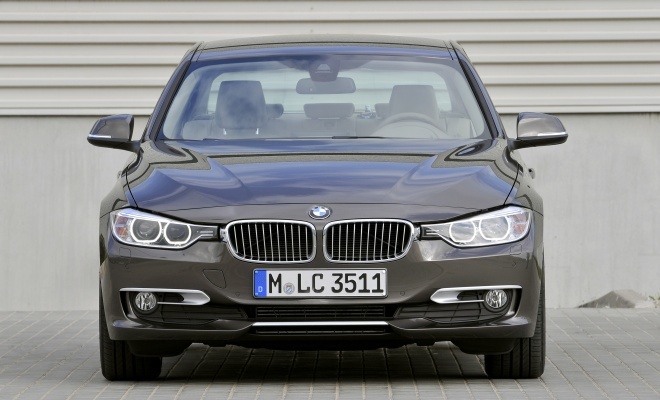 This was the first time I’d seen the new 3-Series face-to-face. And head-on is indeed the best way to be sure you’re looking at the new F30-generation car, because from the side and rear it’s hard to be sure. The swooping curves and sharp creases of the outgoing E90 edition of the 3-Series made it instantly distinct from the older and less sculpted E46 design, but this time around the update is much more evolutionary. The crease running along the shoulder line now dips more noticeably towards the front wheel, the boot looks a little more upright, but only the nose is truly distinct. The reshaped lamps, which now flow seamlessly into the twin kidney grilles, are immediately noticeable. Further up, the front edge of the bonnet no longer slices through the top of the grilles, instead running a few inches further back, creating a softer, all-plastic nose to help spare the legs of unfortunate pedestrians. Inside, the best place to notice the new design is lounging in the bigger back seats. The latest car is 93mm longer overall and 50mm longer in the wheelbase than its predecessor, yielding a hand-span of extra room in the rear. And despite the extra size, the new car is 40kg lighter, which should yield benefits in agility as well as economy. Existing EfficientDynamics features, designed to save fuel, carry over from the previous model or have been improved. These include an alternator that charges the battery only when the car is slowing down, ancillaries such as an aircon compressor, oil pump and coolant pump that disconnect from the engine when not required, electric power steering that draws power only when the wheel is being turned, and a dashboard shift indicator to help the driver save fuel. A stop-start function, which avoids wasting fuel when the car is stationary, now operates with the automatic gearbox as well as the manual. The new eight-speed automatic is actually more economical than the six-speed manual, although it does increase the price by a hard to ignore £1,525. There’s also a new setting nestling among the car’s roster of selectable driving modes. 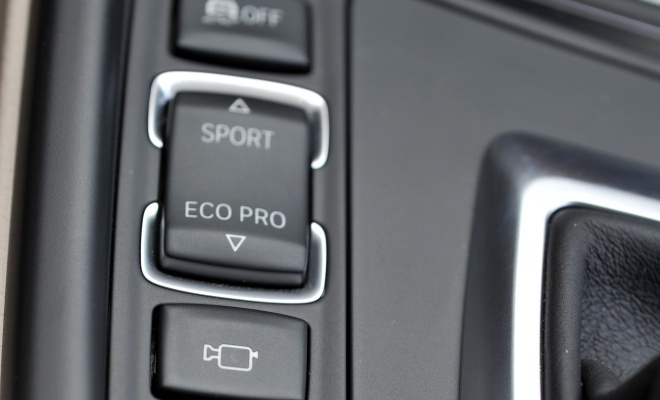 As well as Comfort, Sport and Sport+ there is now an Eco Pro option on all models, designed to optimise the car for minimal consumption. 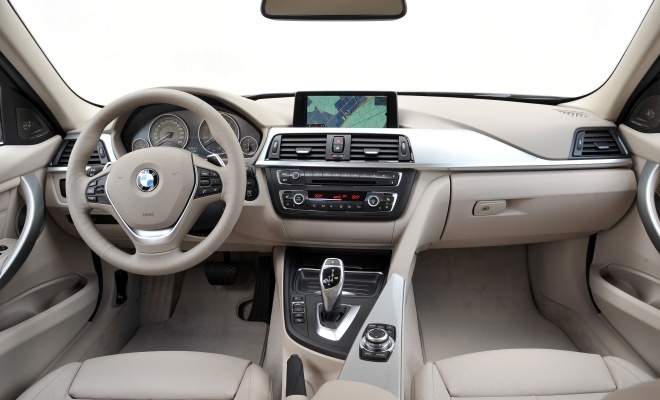 It alters the throttle mapping and gearshift points, makes more thrifty use of power-hungry ancillaries like heated seats, and employs the dashboard to display exactly how much fuel has been saved. At next year’s Olympics, BMW will deploy a fleet of the most frugal of all 3-Series models, the 320d EfficientDynamics Edition. Available only in SE trim and priced from £28,210, this car ekes 68.9mpg and 109g/km economy from its 163bhp, 2-litre four-pot diesel. Despite its frugality, it can still zip to 62mph in just eight seconds. The tax-friendly CO2 rating of the EcoDynamics Edition, which sees it slot into Band B in the UK, has been achieved through an assortment of small changes. 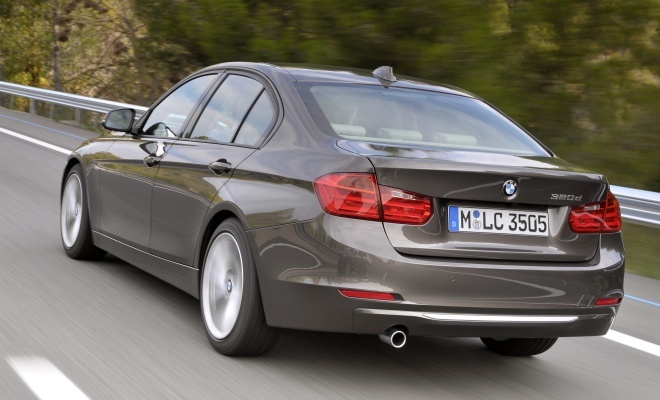 Most noticeable is a 21bhp drop in engine output compared with the standard 320d, but there is also longer gearing, lowered suspension and less rolling resistance from its 16-inch tyres. 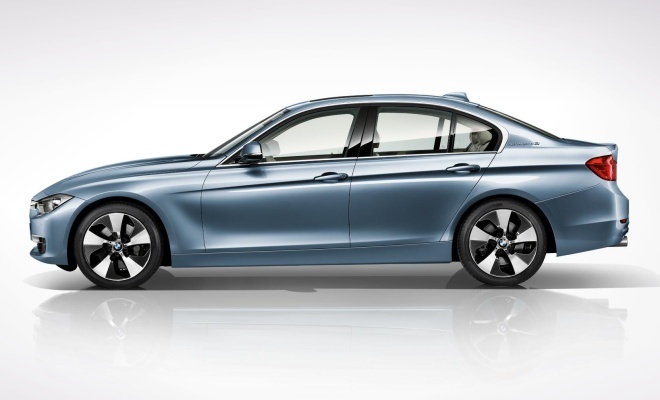 In the autumn of 2012 a new hybrid model will join the 3-Series range, although it’s unlikely to slot in at the cheapest or even the most frugal end of the line-up. The ActiveHybrid 3 will combine a 306bhp six-cylinder petrol engine with an eight-speed automatic transmission that includes an integrated 54bhp electric motor. A modest lithium-ion battery is mounted under the boot floor. BMW predicts economy of about 44mpg, which doesn’t sound too brilliant to me but is apparently 12.5% better economy than would be available from a conventional engine with the same peak power. Before we see the hybrid 3-Series in the UK, we’ll get the ActiveHybrid 5, which goes on sale in February starting at a substantial £46,480. It will deploy the same engine and motor combination as the ActiveHybrid 3, capable of thrusting the larger BMW 5-Series saloon to 62mph in just 5.9 seconds. 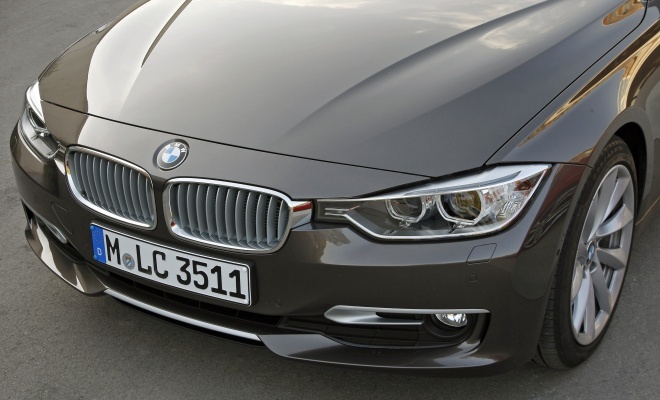 The smaller, lighter 3-Series will presumably be quicker still.